MOSCOW. 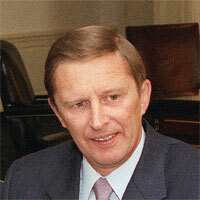 Jan 10 (Interfax) – Prosecutors’ oversight of the course of investigations into terrorist attacks should become more effective, Russian presidential chief-of-staff Sergei Ivanov said. “Oversight of the course of inquiries into criminal offences, primarily crimes linked to terrorism, should be made more effective,” Ivanov said at a Friday session, dedicated to the Day of Russian Prosecutors. Terrorists who seek to target the life and health of Russian citizen ought to realize clearly that they will not be able to escape punishment for their crimes, he said. Extremism-related crimes should be investigated more thoroughly as well, Ivanov said. “There should be no room for belligerent nationalism and religious and ethnic dissent in our multiethnic country,” he said. Ivanov also asked prosecutors to make sure that foreign citizens currently staying in Russia strictly abide by the country’s laws. According to figures provided by the Federal Migration Service, at least 3.6 million foreigners work in Russia illegally, Ivanov said. “The task of the Prosecutor’s Office is to actively engage in comprehensive efforts to improve this situation and form civilized relations on the workforce market,” he said. “Definitely, certain results have already been achieved in this area. We will discuss them later,” he said. Today law enforcement agencies are able to secure compensation of less than 10% of the damage caused, Ivanov said, calling for measures to reverse this situation. Protection of civil rights and freedoms is also high on prosecutors’ agenda, he said. “People expect the Prosecutor’s Office to timely respond to any violations of the law,” Ivanov said, adding that this concerns all spheres of social life. Great attention should be paid to the most vulnerable sections of society, he said. Another key task facing the Prosecutor’s Office is to ease pressure on businesses and refrain from conducting unfounded inspections, he added.